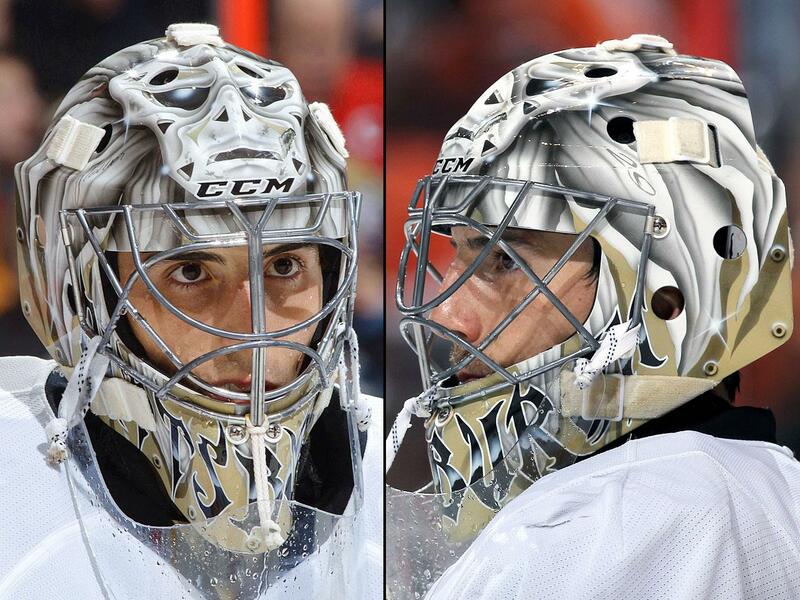 Fleury's main mask is the same as last season. 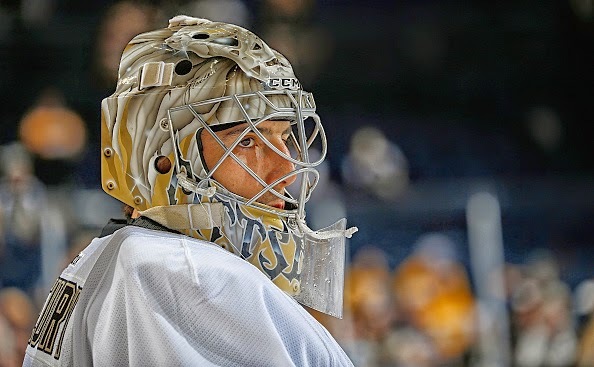 ...features a flower wearing an old-school goalie mask on the forehead, with the eyes glowing blue through the mask and the petals flowing out from the middle like hair. 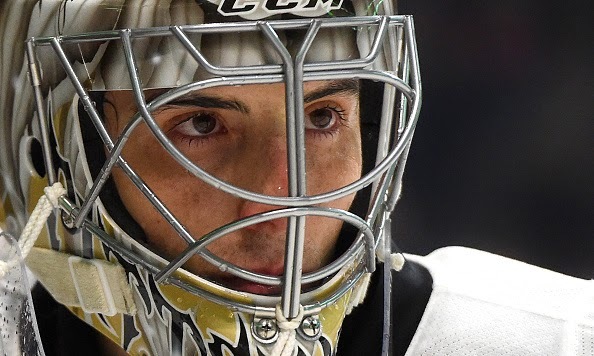 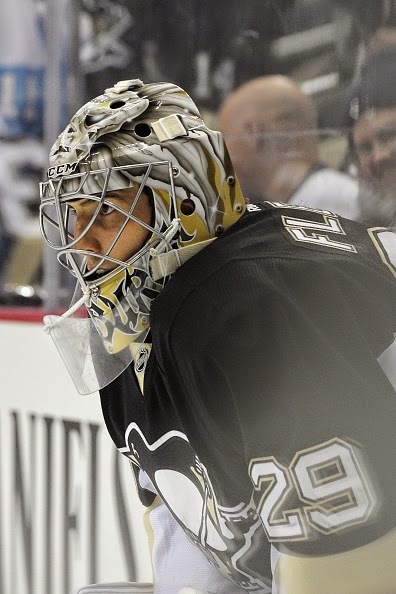 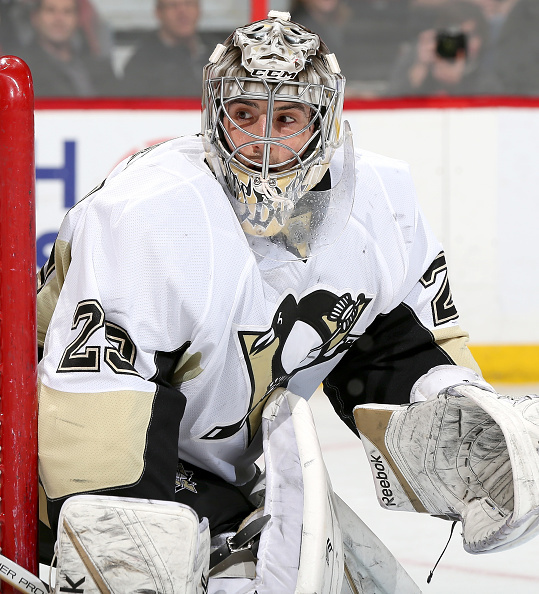 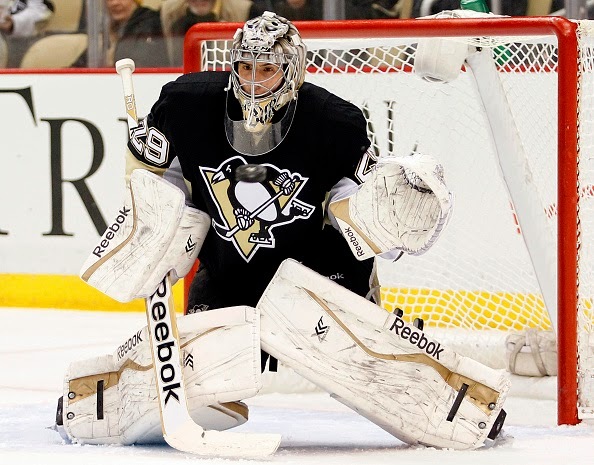 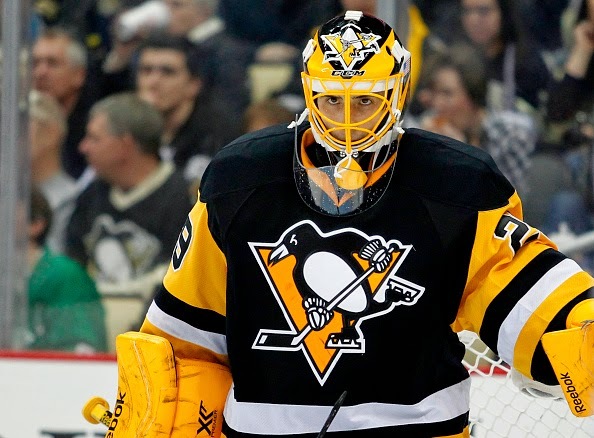 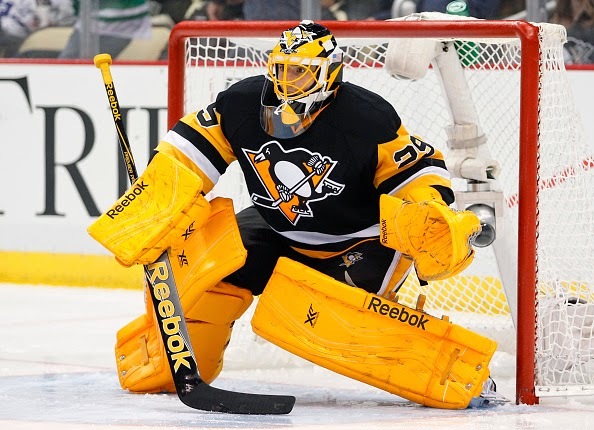 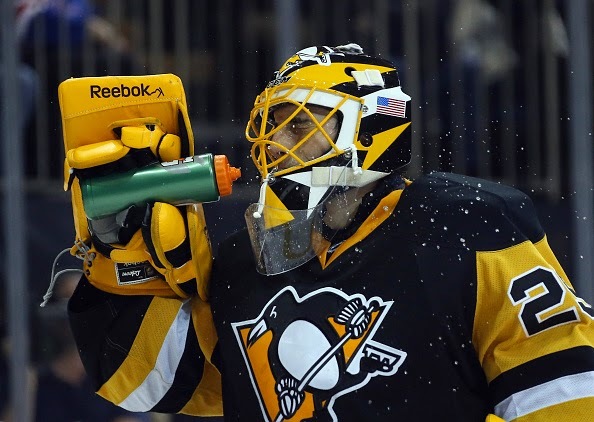 Fleury has a different mask to wear with their alternate/3rd jerseys. 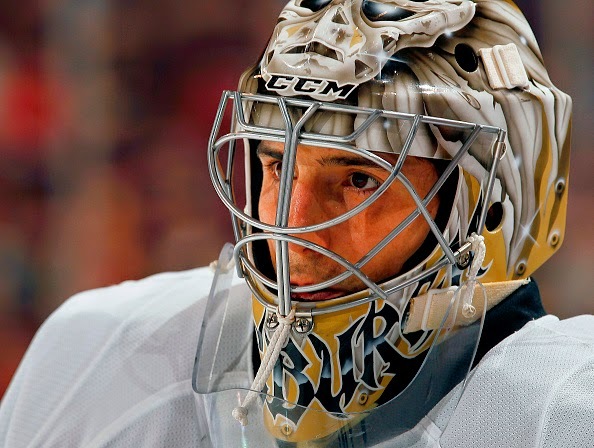 This mask is also painted by Bergeron.